New Year’s resolutions are strange things. They so are so often to do with “self-improvement” – eating less sugar, drinking less alcohol, going to the gym three times a week and so on. This is all a bit negative (and unrealistic if you’re me), as though we are telling ourselves we are out-of-condition heavy drinkers with little will power! Maybe it’s just because my track record on keeping these sorts of resolutions is poor, but I decided that for 2015 I would try and find a better way to make a lasting resolution or two, based around personal development. I’ve got out of the habit of drawing regularly since I stopped teaching art – although I paint most days – and for me drawing is a basic art skill that I want to do more of and get better at. So in December I signed up for a drawing class at mac birmingham – easy to do via their excellent website. mac birmingham is an amazing place, originally opened in 1962 but recently refurbished and massively improved and enlarged; it re-opened in 2010. 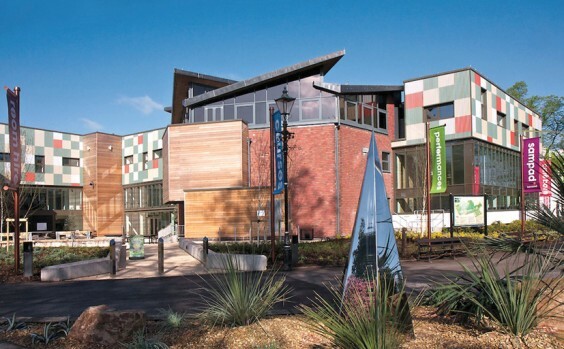 This is a contemporary arts centre set in the beautiful surroundings of Cannon Hill Park. In 2012 mac was voted the top free visitor attraction in the West Midlands and, as I entered its doors for my first drawing class, I felt a real energy about the place, even on a Tuesday afternoon just after Christmas. The building itself looks modern and funky and the interior is along the same lines. There are commissioned pieces of art throughout the building that reflect the environment and engage with the visitor. mac is a hub of creativity and learning, offering more than 150 creative courses and workshops for children, young people and adults. There are also four performance auditoria including an outdoor arena, rehearsal and media studios, a cinema, art galleries, café and bar. In other words, anyone of any age can go to mac birmingham to watch a film, take children to a panto, visit an exhibition or sign up for any of the creative courses on offer; or just go there for a coffee. My only warning is that if one of your New Year’s resolutions is to give up cake, you’re in trouble – their cakes are irresistible. It’s not hard to see why this place is the most-visited arts centre in the Midlands. So, just to finish my story, I went to my first drawing class at the start of January, was offered some interesting objects to draw, made several sketches and met some friendly classmates. And I am looking forward to next week’s class. What’s more, I’ve been given some optional homework to do so I’ll keep drawing and trying things out. If you like the idea of learning something new or building on an existing skill in 2015, there are lots of choices at mac birmingham (http://www.macbirmingham.co.uk) as well as in our more immediate area, and the best place to look is in the What’s On pages of The Village magazine – where else?